I love peonies and irises. I have a coral-colour peony on my balcony. It’s just come into bloom, but you’re right it will be gone in a week. 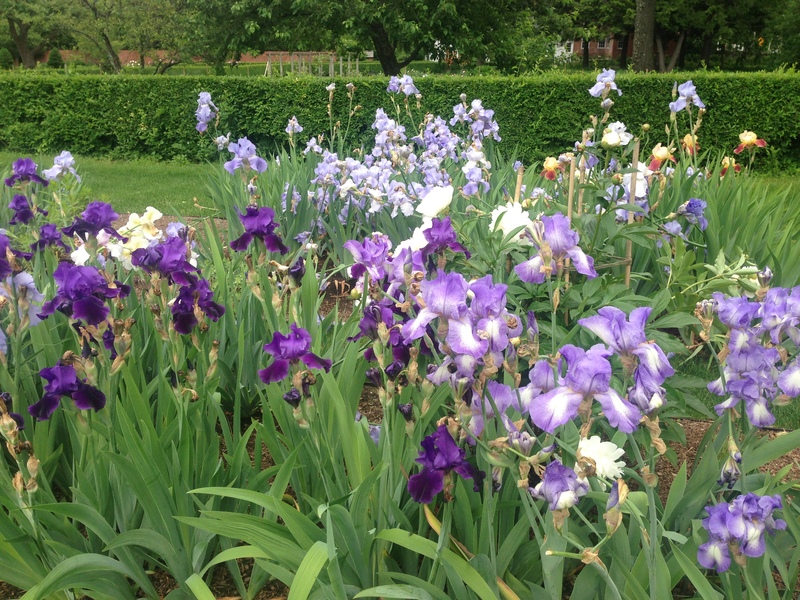 At my house they often only last a few days, Sevigne — one night I see fat buds and two days later the petals are all over the lawn. Once I went away for a weekend and missed all the flowers on my favorite peony! Coral sounds gorgeous — I have mostly pinks and whites, and one very intense magenta. 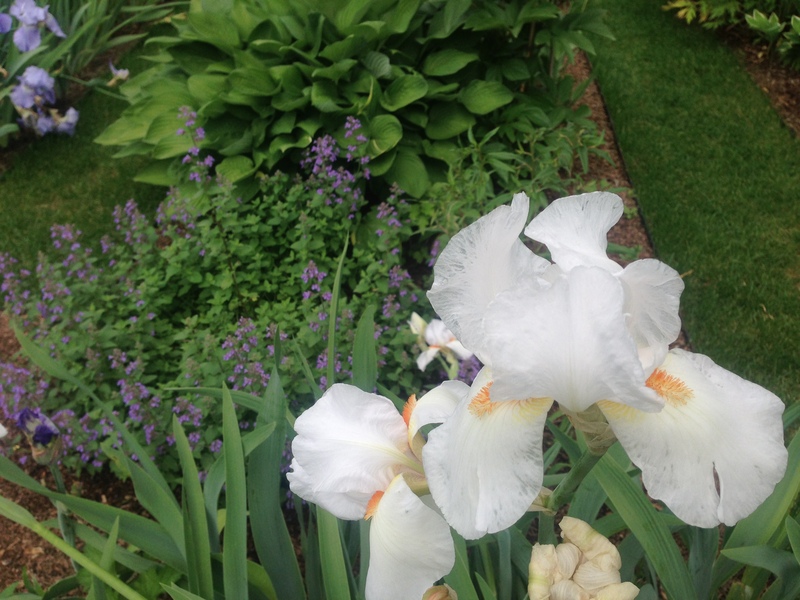 After this last thunderstorm, we awoke to find all of our irises laying on the ground. They’re so beautiful, but so fleeting. Like most things, it’s best to appreciate them in the moment. They remind me of butterflies, Vaughn. I love them. 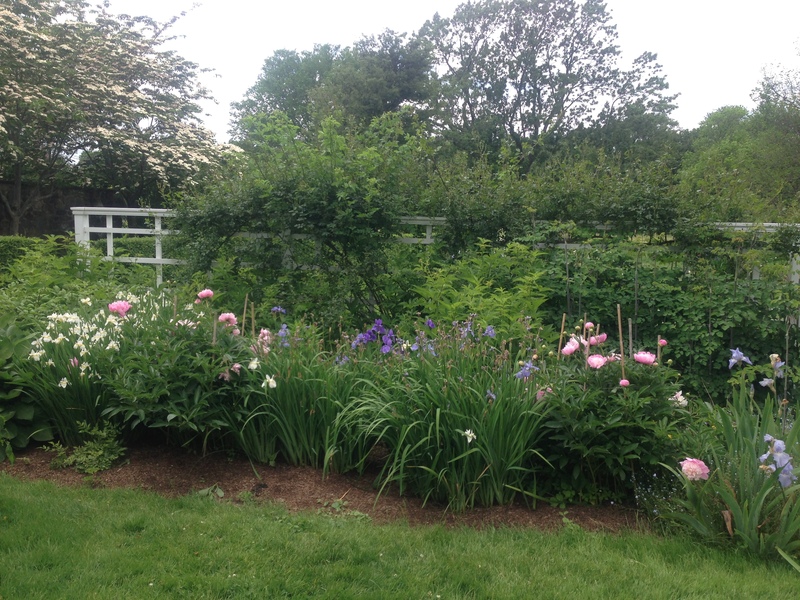 I used to have a large perennial garden, and irises and peonies were a large component. Enjoy your late spring, Liz. I’d rather think of you having time to smell the flowers than slaving over a post and missing them altogether.